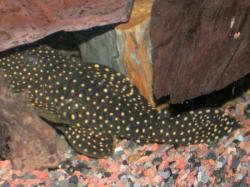 L007 (L. cf. 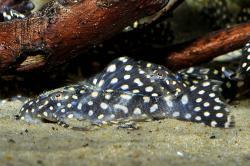 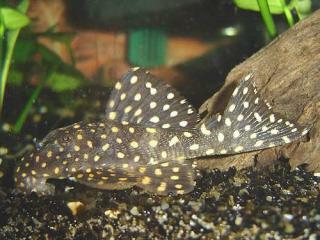 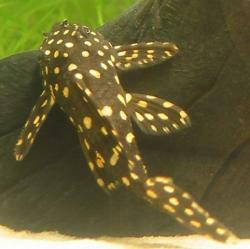 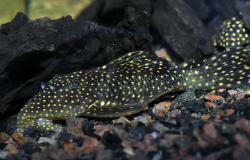 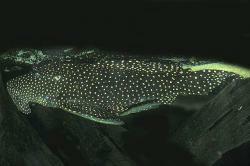 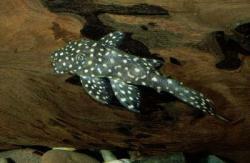 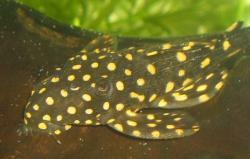 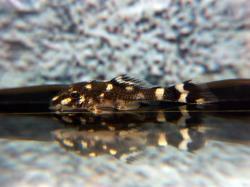 galaxias) is distinguished from L029 (L. galaxias) by a higher dorsal fin, a shorter snout and larger spots. 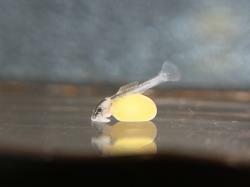 Other Parameters This fish originates in fast flowing rapids so you should supply this fish with an oxygen rich strong current environment. 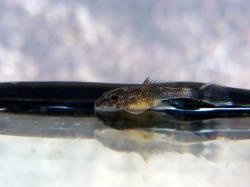 I used powerhead driven UGFs with ventura style air / water mixing and an external bucket filter to keep this fish with sturdy medium sized Geophagus and Acaricthys cichlids which didn't mind the extra current too much. 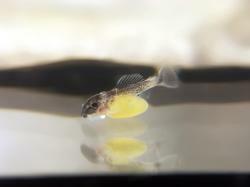 Breeding Reported, cave spawner, see images for fry development. 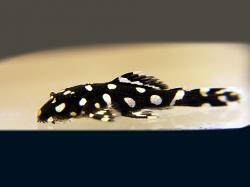 There are 95 registered keepers, view all "my cats" data.